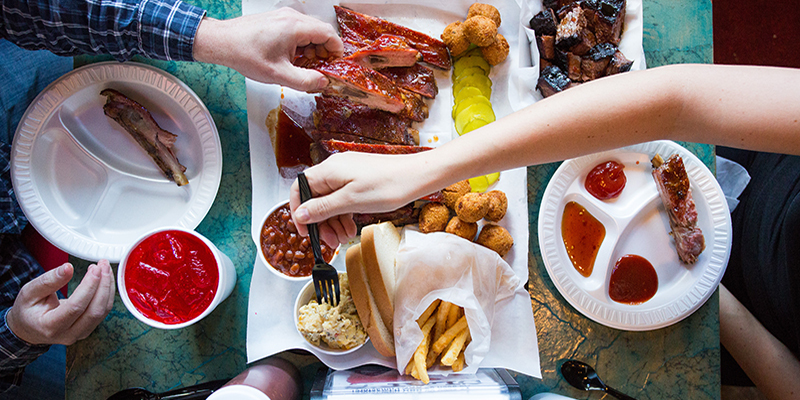 Barbecue in Kansas City is more than a menu item or a method of preparation. 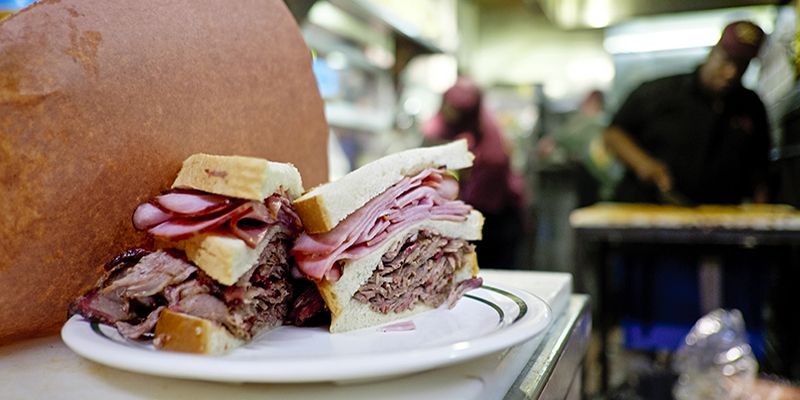 It’s an institution, rich with history and culinary tradition that shapes the city’s dining landscape every day—and has since the early 1900s. For decades, visitors from across the globe have traveled here, drawn in by its smoky aroma, just to get a sample of KC’s acclaimed cuisine. Kansas City’s barbecue craze can be traced back to Henry Perry, who in the early 1920s started barbecuing in an outdoor pit adjacent to his streetcar barn, serving slabs of food wrapped in newspaper. Perry’s ‘cue became so popular that fans began imitating his technique and style to create their own unique recipes. The second wave of barbecue “founders” were the families of Bryant, Gates, Boyd, Harris and Thompson. 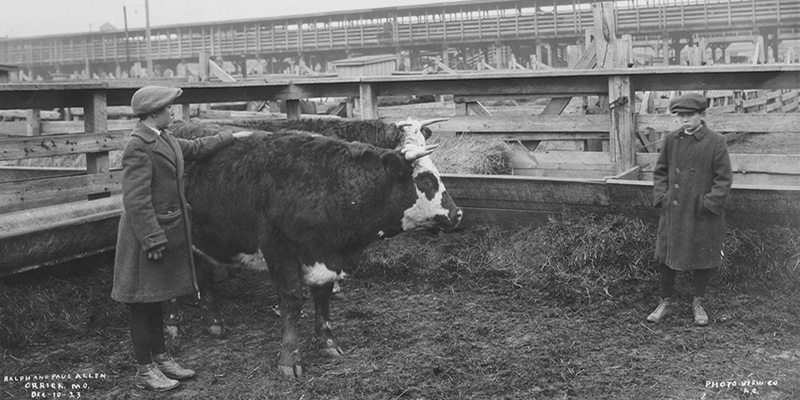 Kansas City had earned itself a reputation as a renowned stockyard and meat-packing city, making it the ideal migration destination for pitmasters in search of work. Together, their distinctive tastes, talents and flair have created an unprecedented, eclectic barbecue culture recognized on a global scale. 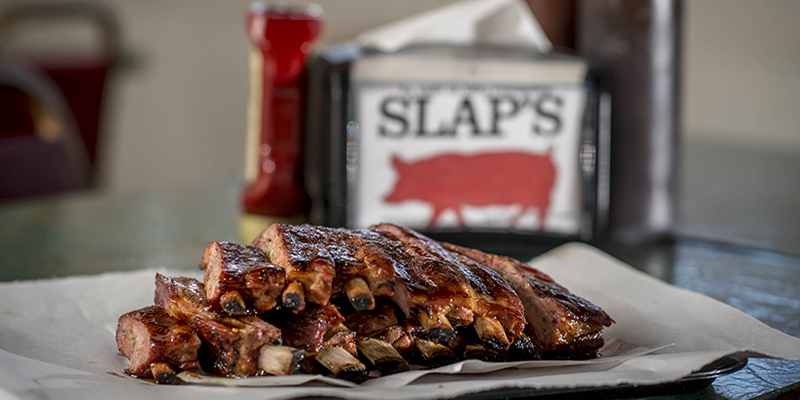 Now, Kansas City barbecue enthusiasts can satisfy their cravings at more than 100 mouth-watering barbecue restaurants dotted around the metro. There’s even the Kansas City Barbeque Society, an organization dedicated to promoting and sustaining the cuisine worldwide. Regardless, from pork and lamb ribs to brisket, burnt ends, pork shoulder, chicken, ham and even jackfruit, visitors and locals alike always find something totally unique to the region. 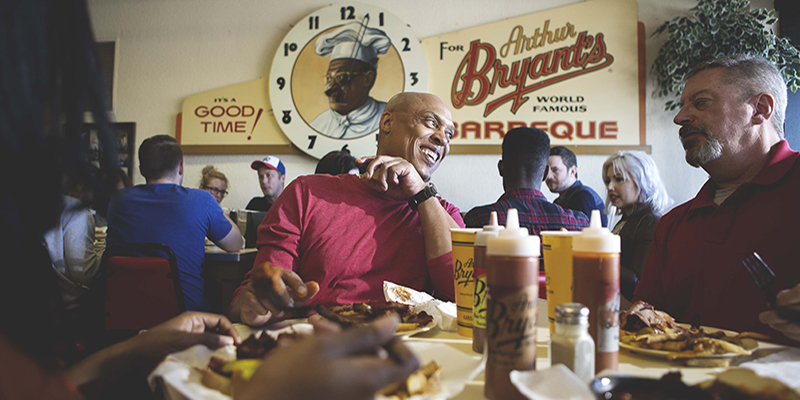 The 18th & Vine classic, Arthur Bryant’s Barbecue, is a legendary hotspot for every barbecue lover. 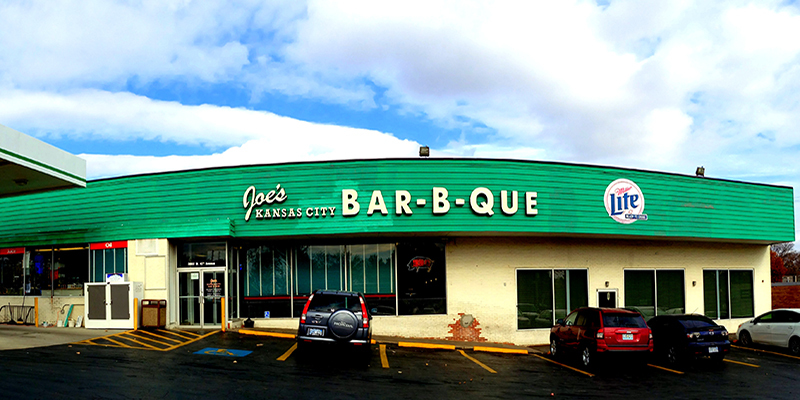 Joe’s Kansas City Bar-B-Que is nationally celebrated—and rightfully so. 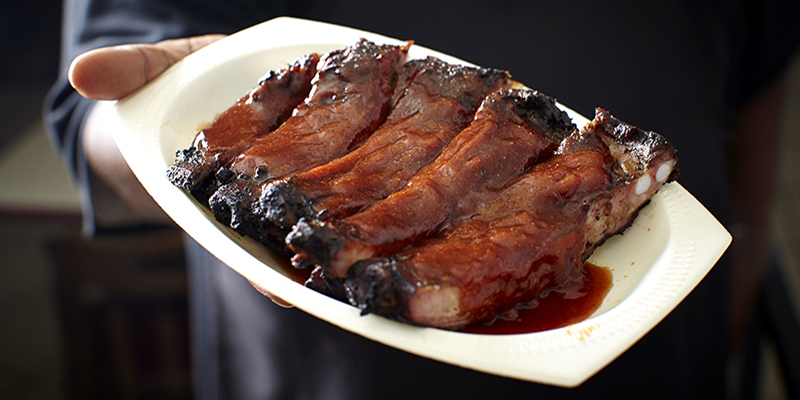 Gas station ‘cue never tasted so good. Featured in countless TV shows, B.B.’s Lawnside Bar-B-Q touts live blues, friendly faces and a smoker more than 60 years old. 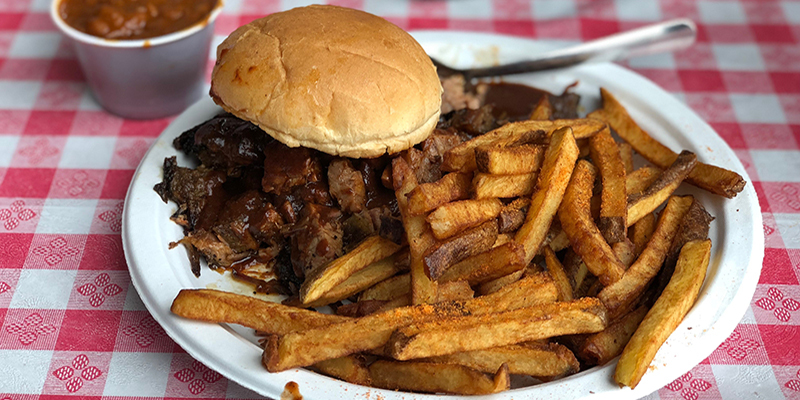 One look at the smoker behind the counter at LC’s Bar-B-Q reveals why this eastside restaurant has been an institution in the Kansas City community. 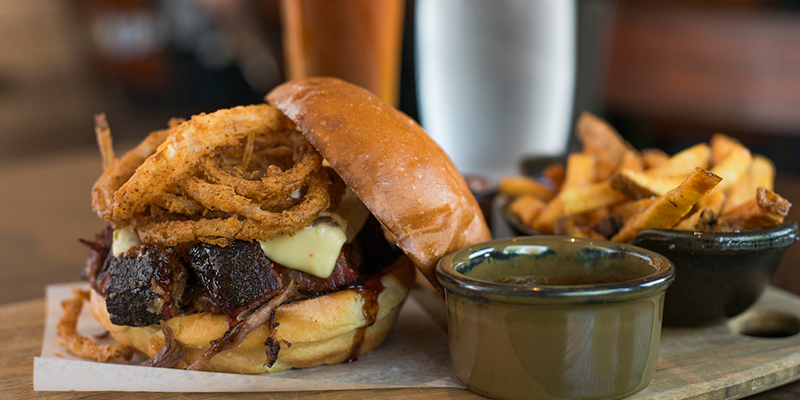 More upscale tastes await at Fiorella’s Jack Stack Barbecue, a local chain known for its expansive menu. 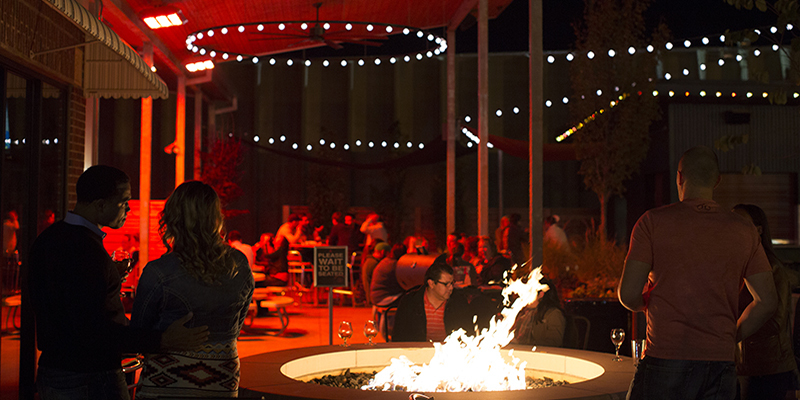 At Q39, one of the hottest restaurants in the region, wood-fire grilling adds another layer of flavor to already-appetizing bites. 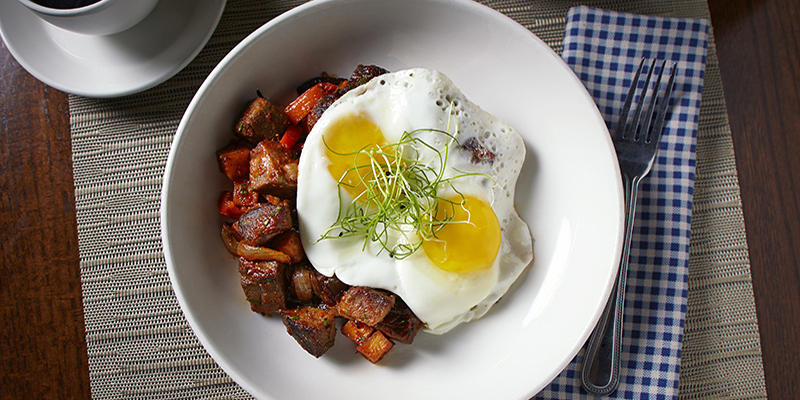 Burnt end hash is totally a thing, and the culinary wizards at Rye prove that KC’s delicacy perfects just about any dish. In fact, burnt ends can be found at restaurants all throughout the metro, traditional barbecue spot or not. Looking for something meatless? One of Char Bar’s most popular sandwiches—The JackKnife—is centered around smoked jackfruit, a vegetarian- and vegan-friendly ingredient with a taste and texture nearest to pulled pork. Arrive Early – Not every restaurant touts a line that runs out the door, but understand that the quickest way to satisfy your salivating taste buds is to show up early. 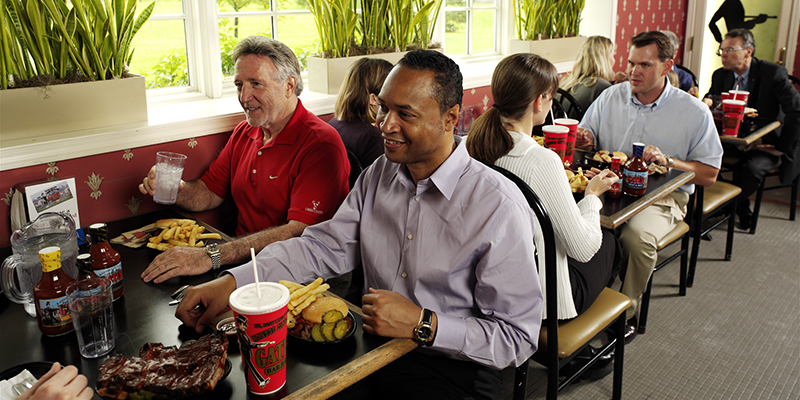 Speak Like a Local – Some favorites, like Gates Bar-B-Q, operate using a special language. 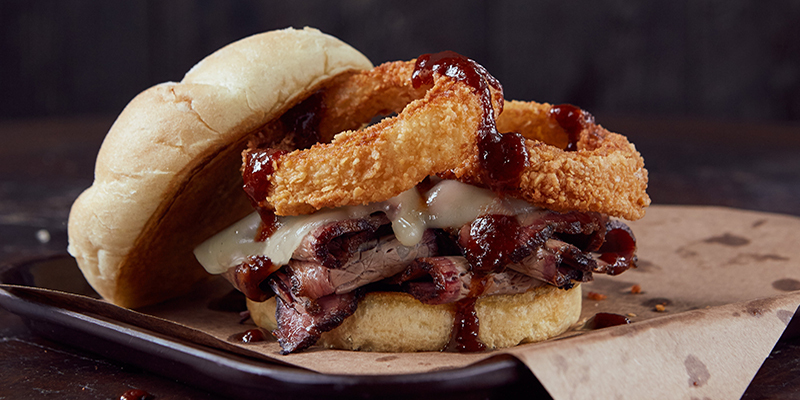 You won’t need a translator, but get comfortable using phrases like “beef on bun” and “Z-Man” (a signature sandwich at Joe’s Kansas City, melding brisket, provolone and an onion ring). Order Burnt Ends – A KC rite of passage, this charred specialty was once given away for free while people waited in line at Arthur Bryant’s. 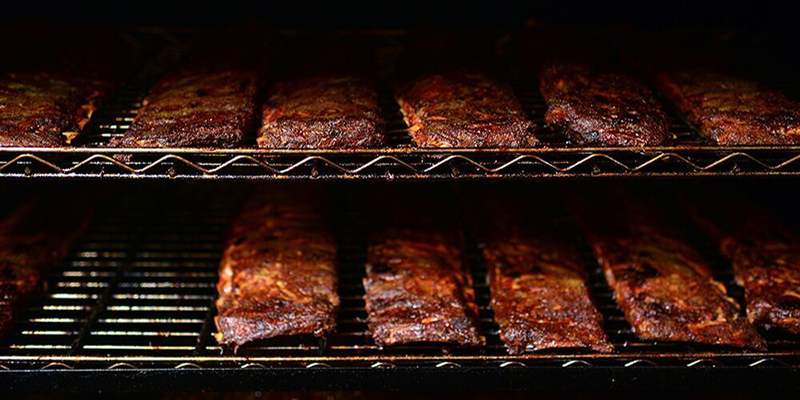 Now, it’s the smoky, juicy delicacy that’s become a staple of KC’s barbecue culture. 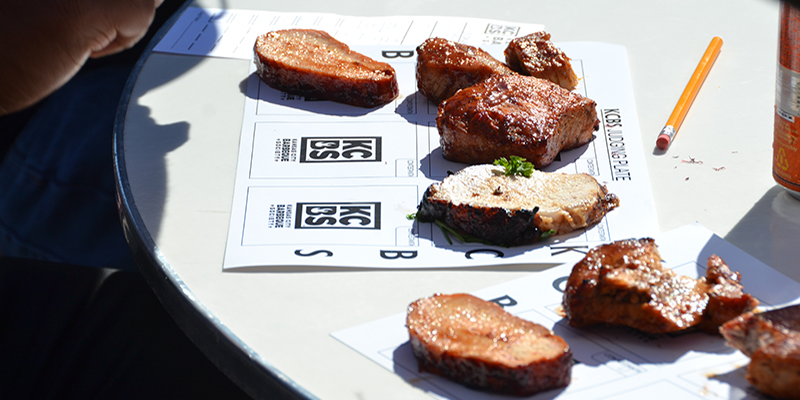 Whether determining the smokiest sauce, most mouthwatering ribs or any number of cuisine-specific categories, part of the spirit of ‘cuing in KC is friendly competition—meaning Kansas City’s calendar is full of barbecue festivals, tournaments and more. Recognized as the biggest barbecue contest and celebration in the world, The American Royal World Series of Barbecue welcomes more than 500 local, national and international teams for two weeks of spirited smoking each fall. No matter how you cook or slice it up, Kansas City is deeply rooted in the global barbecue consciousness. And there’s nowhere else on earth that offers such a unique, diverse and delicious love of barbecue that draws folks from all over the world. 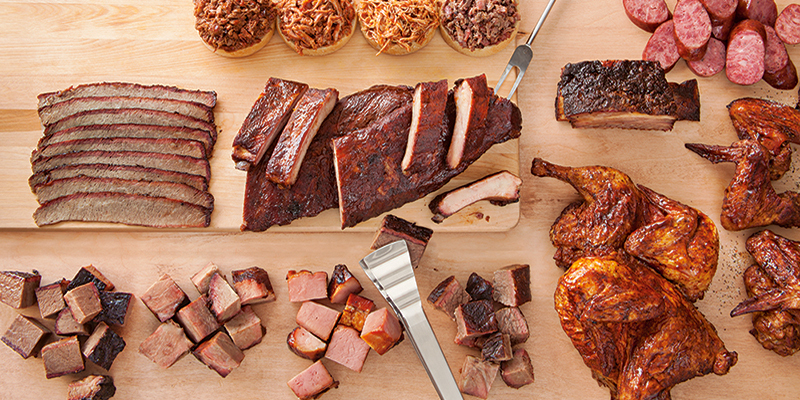 Track your barbecue experiences with the KC BBQ Experience app, the ultimate resource for enjoying Kansas City’s signature cuisine. Check in to your favorite restaurants, earn badges for bragging rights, post photos of your ‘cue and embark on themed trails to explore new parts of the city. Go to VisitKC.com/BBQ to download. Available for iOS and Android. Warm and flaky or sweet and moist, Kansas City’s bakeries are serving hungry patrons with scratch-made pastries, cupcakes, loafs and, well, pretty much anything that rises in the oven and gets our stomachs growling. Keeping cool in Kansas City during summer weather is no sweat. From ice cream cones to shaved ice, these local businesses offer cold, sweet treats to eat, drink and enjoy. For sightseers on a shoestring budget, Kansas City offers many free adventures that everyone can enjoy.